I absolutely loved this book, to the point where it may be one of my favourite reads of the year! 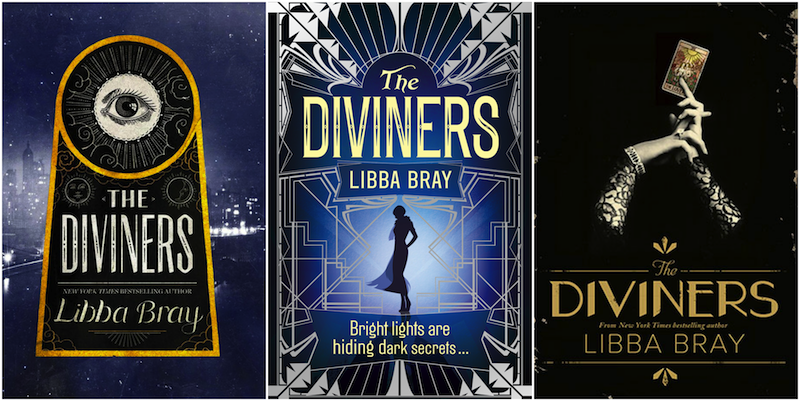 Libba Bray’s writing was beautiful and I thought that the characters were great, especially Evie and Memphis. I will admit that It was a bit slow to start but when it picked up I couldn’t put it down and flew through it in two days, which was surpring considering the book is almost 600 pages long. The World building was great and plot was pretty good too, even if it was a little difficult to keep up with in the first 100 pages. Overall the novel was enjoyable! The references to the Bible and the really intense and realistic occult setting was a pretty big part of plot and certainly made the book creepy and entertaining . Reading this book in the 21 century is great, because Libba Bray was able to really make the novel authentic. The idea of religion being a big aspect of their lives, the introduction of science as an evolutionary explanation, sexism and racism were all portrayed really well. At some points I was cringing because if we acted the way the characters did in this novel in our modern day society we would have to deal with major consequences. What I loved about the characters was that each one was so perfectly crafted and had such vivid personalities that you couldn’t get them confused. Evie was portrayed as a typical flapper from the 1920’s – selfish, naive, and quite a trouble maker! She was full of life, which had a strong influence on the characters she meets and her own character development throughout the novel. Memphis is an African American teenager living in Harlem, where he is trying his best to take care of his brother and write poetry in his free time. I loved the idea of “forbidden love” in the 1920’s and how everyone’s stories were somehow connected. Naughty John is the antagonist of the novel and just wow… Did he scare the living day lights out of me. I was warned against reading this book in the dark and I will carry on those words of wisdom. The thing that made this book so real and touching for me was the authenticity. That is also what makes it so creepy and horrifying because Naughty John believes with every ounce of his being that what he is doing is the right thing, the will of God, and it is necessary to humanity. This can strongly be related to the problems we have in our modern day society with ISIS, who attack innocent people because they believe that it is the will of God, and could be classified as a cult. This book really does make you think outside of the box. I really need to read this book, it’s been on my TBR for ages now! It was amazing! The size of it scared me at first which is why it sat on my shelf for a year before I got to reading it.